As the heat wave continues, these Free Library locations will serve as cooling centers on Wednesday, July 4. All other locations are closed in observance of the Independence Day holiday. Normal library hours resume on Thursday, July 5. Stay cool, Philadelphia! Lucien Blackwell West Philadelphia Regional Library | 125 S. 52nd Street - 12:00 - 8:00 p.m.
Joseph E. Coleman Northwest Regional Library | 68 W. Chelten Ave. - 12:00 - 8:00 p.m.
Blanche Nixon/Cobbs Creek Library | 5800 Cobbs Creek Parkway - 12:00 - 8:00 p.m.
Fumo Family Library | 2437 S. Broad Street - 12:00 - 8:00 p.m.
Logan Library | 1333 Wagner Avenue - 12:00 - 8:00 p.m.
Oak Lane Library | 6614 N. 12th Street - 12:00 - 8:00 p.m.
Lillian Marrero Library | 601 W. Lehigh Ave. - 11:00 a.m. - 7:00 p.m.
Widener Library | 2808 W. Lehigh Ave. - 11:00 a.m. - 7:00 p.m.
is this library going to be open on the 4th of july holiday? Yes! Coleman NW Regional Library, 68 W. Chelten Ave. (at Greene) will be open on Independence Day from 12:00-8:00 p.m. Stay cool! Not one in the Northeast section. Shameful!!! It's hot here too. 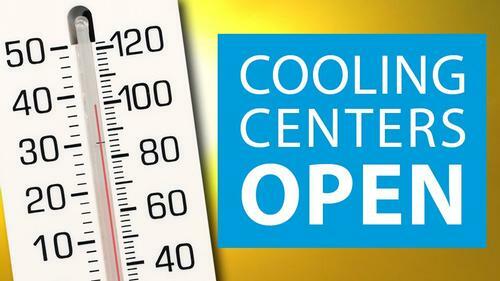 Add a Comment to Select Free Library Locations Open on Independence Day as Cooling Centers!